How to make iPhone ringtone for free by yourself - Vadym K.
Bought an iPhone and have no idea how to make personal ringtones? Wish to have your ringtone from previous phone? Or just don’t want to pay Apple for ringtone? No problem. 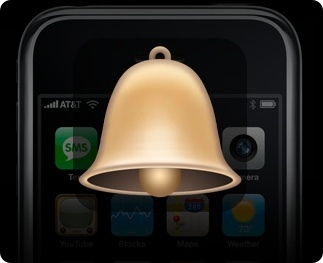 Actually adding your ringtone to iPhone is really easy. It should be a file with .m4r extention which is actually .m4a file. So just convert your song from mp3 or another format to AAC, change extension to .m4r and you’re done! NOTE: A song duration must be not longer than 40 seconds to be imported as ringtone. Find the song that you want to make into a ringtone. Type in the start time of your ringtone in the text box next to “Start Time” in the minutes:seconds (i.e. 2:01) format. Type in the end time of your ringtone in the text box next to “Stop Time.” Make sure the ringtone is no more than 40 seconds long. Replace the “m4a” extension of your ringtone with “m4r”. You can either double-click slowly to rename your file, or right-click and select “Get Info” on a Mac or “Rename” on a Windows PC. Click “Use .m4r” or the PC equivalent when the system warns you that the change may affect the use of your file. 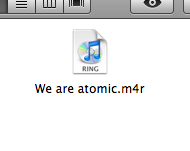 Double-click the ringtone file. ITunes will automatically add it to your ringtones folder in your iTunes Music Library. Connect your iPhone and sync your ringtones. 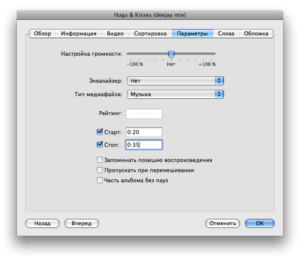 This entry was posted in How-to, iPhone, Tricks and tagged How-to, iPhone, ringtone on January 5, 2010 by Vadym Khukhrianskyi.